We all love taking a selfie now and again. That’s why a good front-facing camera is such an important part of your phone. If you’re looking to upgrade, and up your selfie game at the same time, here are some handsets worth checking out. Why settle for one selfie camera when you can have two? The Pixel 3 has a secondary wide-angle camera, and it’s just what you need to get more of the gang into the frame, and to make your group selfies as epic as possible. Another huge plus is that Night Sight mode works on the selfie camera, brightening up your low-lit selfies without the need for a flash – perfect for gigs, clubs and those nights out you don’t want to forget. The Pixel 3’s main 12MP camera is just as amazing, with a Top Shot feature that finds the perfect moment in your photograph when everyone’s smiling and nobody’s blinking. 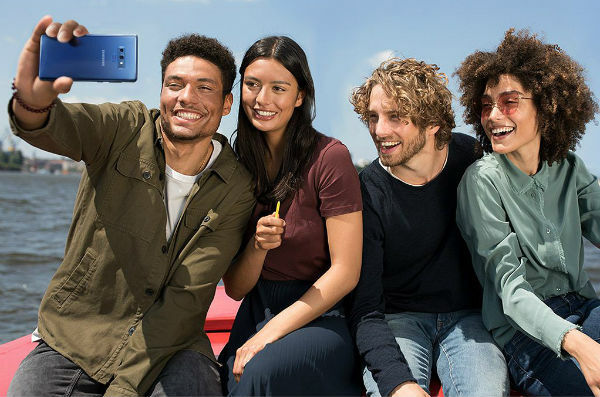 The Galaxy Note9 is another phone that’s perfect for remote and group selfies, with a little help from the new and improved Bluetooth S Pen. It works as a remote clicker, so you can prop your phone up against a wall, group together with your friends, and click the S Pen to take your shot when the moment’s just right. After you’ve taken your shot, the fun can begin – you can add all sorts of emojis and stickers to make your pic an Insta-classic. The Note9’s main camera makes it easy for you to shoot like a pro, with built-in AI that detects your surroundings and adjusts your settings to match. So whether you’re capturing a breath-taking sunset or a close up portrait of someone, you’ll always get the best shot. The Mate 20 Pro’s huge 24MP front-facing camera is just what you need for selfies that are full of incredible detail, and there are loads of other features to give your shots a professional touch. The front-facing portrait mode lets you play about with your background and make it as blurred and arty as you dare, and there’s also a studio lighting setting with some really cool and moody effects. The Mate 20 Pro’s main triple lens camera is something special too. Those three lenses work together to give you spectacular photos, no matter what you’re shooting - from extreme close-ups to ultra-wide landscapes, it can handle the lot. And it uses the power of AI in the same way as the Note9 – it recognises what you’re shooting, and adjusts your settings for you. All you need to do is point and shoot. Feeling nervous? Don’t be. 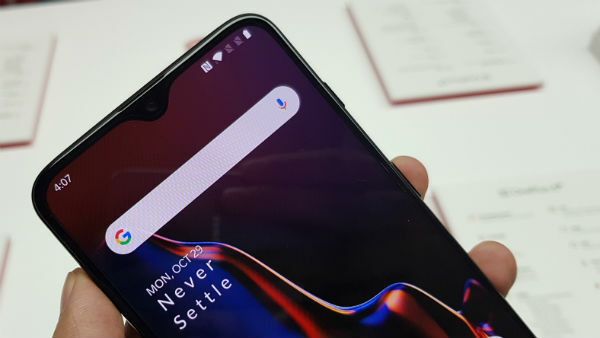 The OnePlus 6T’s 16MP front-facing camera comes with electronic image stabilisation (EIS), so no matter how shaky your hands are, your selfies will always be crisp and blur-free. And guess what? Once again the power of AI is hard at work, to recognise what’s in your shot and adjust your camera settings to match – that means perfect selfies, every time. The main 20MP + 16MP dual lens camera takes brilliant night-time shots, with a new Nightscape mode that adds clarity to dark areas, and tones down any harsh artificial lighting. It’s a speedy camera too, and launches and focuses incredibly fast – ideal if you’ve got a cute yet camera-shy pet. Or child. What do you reckon? Will you be taking your selfie-game to the new heights with one of our choices? Or are you satisfied with your current front-facing snapper? Share your thoughts in the comments below.